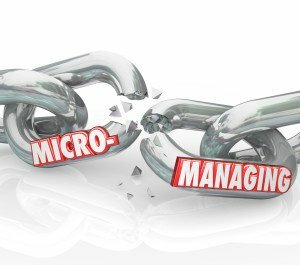 How micromanaging can factor into workplace safety. Since the recession of the late 2000’s, many businesses have begun to engage in processes that demonstrate a tighter control over their employees. This isn’t entirely unwarranted. Many businesses were able to cut costs and overhead (particularly staffing costs) by tightly controlling their production processes. However, this brought with it a series of side effects that continue to be felt over time. According to the Occupational Safety and Health Administration (OSHA), micromanagement can lead to mental stress amongst workers. By OSHA’s own research, stress is one of the most frequent and dangerous hazards in the workplace, as it often leads to many other hazards being overlooked. This is because as workers are more and more stressed, they put a great deal less thought into the work that they are doing. This can be dangerous, especially for jobs that require manual labor or heavy machinery. By that logic, micromanagement actually causes workers to think less about their work, causing drops in quality. Another reason that micromanagement can be detrimental to workplace safety is that it negates the independent thought of your workforce. An employee’s thoughtfulness and dedication to their present task are enhanced when they feel some level of personal accomplishment with their work, which will help them find ways that the current process can be improved for their safety. This is far more likely to happen when they feel a level of independence. Treating your workers like machines means that you won’t get the full benefits of hiring the thought process of another human being, as they will put less effort into problem-solving or independent work outside of their basic tasks. While micromanaging your process might bring up efficiency for your current process, it also negates the ability for your workers to contribute to your growth and innovation.